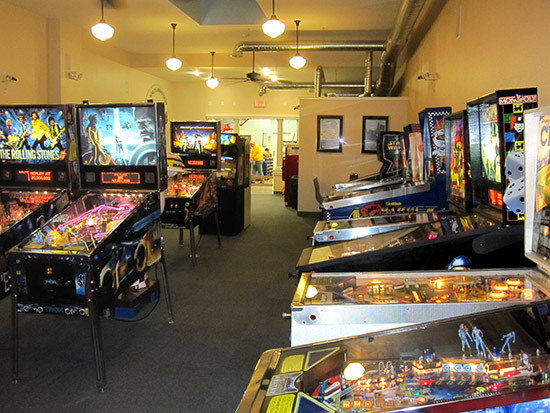 For a place that’s bordered on three sides by states with lots of locations, it used to be relatively hard to find a good game of pinball in Indiana. That all changed in January of 2012 when Dan St. John opened Main Street Amusements in the small city of Lafayette, about an hour’s drive north of Indianapolis and two hours south of pinball’s Mecca, Chicago. 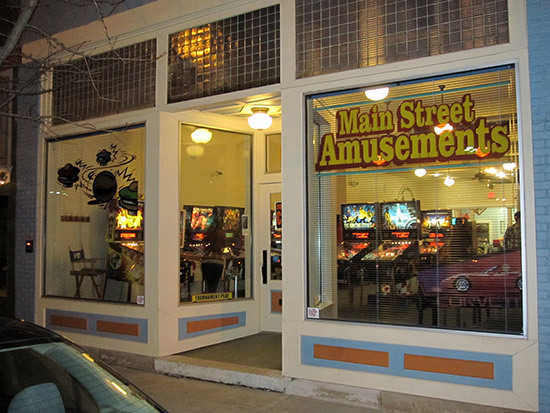 Main Street Amusements is part of the recent trend in retro arcades that have been opening up in the last few years. Located in an old but nicely-maintained downtown store front, it is surrounded by funky stores and restaurants. The pins are clearly visible through the large front windows, inviting the player inside. It is open from 7pm to 11pm Tuesday through Saturday, and closed most holidays. When I arrived at 9:30pm on a Saturday night, the streets were almost empty but the neighborhood appeared relatively safe. 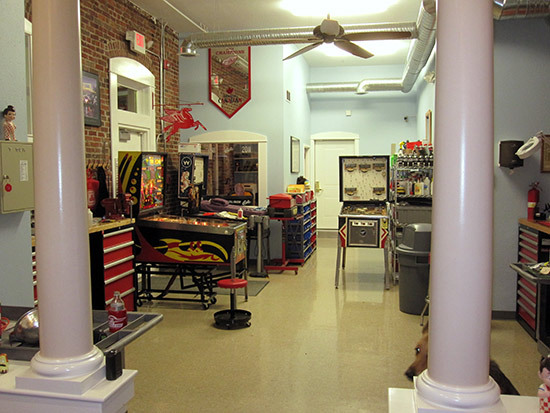 Inside, the arcade is clean and bright, with ample room and a high ceiling. There is a vintage pop machine that dispenses decidedly non-vintage 20oz sodas, and a tiny two-person dining area where you can relax with your drink. 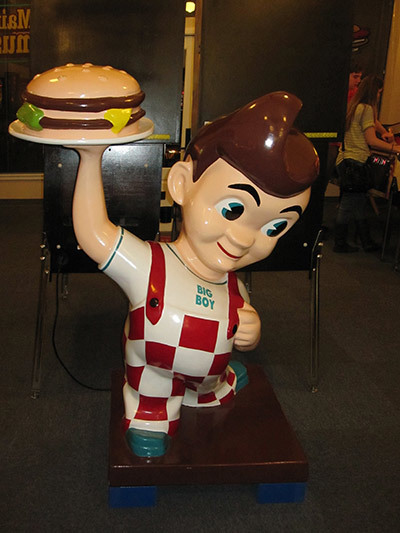 Most of the decor is inspired by the owner’s affection for White Castle and Bob’s Big Boy restaurants. 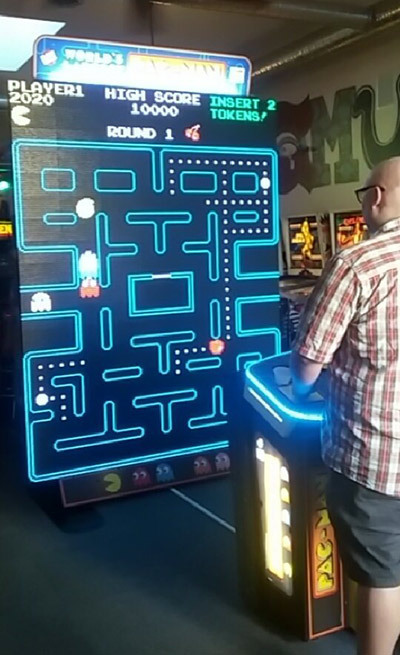 There are a total of twenty-seven pins and two video games. Overall, it’s a good, solid collection of games: A few A-listers, some player-favorites, new Sterns, some classics, and just enough rarely-seen titles to keep things interesting. The Medieval Madness has been outfitted with a ColorDMD and looks great. The four newest Stern games are all LEs, though I would argue that Avatar’s and The Rolling Stones’ LE versions don’t add much over the standard Pro versions; Transformers LE at least has the two mini-playfields and TRON LE has lots of eye candy. 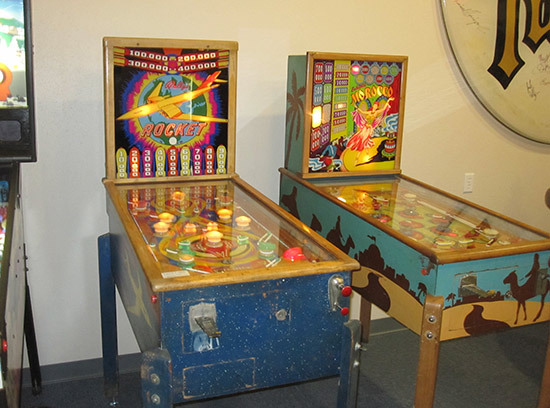 There are even two 1940s games from the early years of the flipper. Pricing is pretty reasonable. Games run on 25 cent tokens. All the newer games are three tokens per credit, older DMD games and solid-state classics at two tokens, and the E-M games are one token. All the games I saw gave a price break for multiple credits. The two '40s games are cash-only and cost a nickel per play, just like the old days. Tokens are dispensed from a change machine in the back which takes credit cards as well as bills -- a nice convenience in our increasingly cash-free society. I was briefly confused by the $2 minimum on the change machine until Dan explained what was going on. Generally, the games were well maintained and very playable. When I was there, only Viper Night Drivin' was out of order. 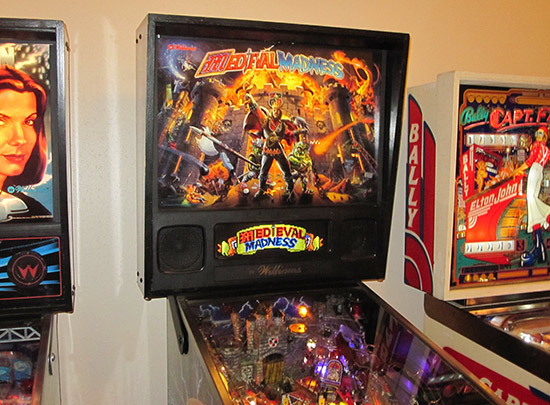 A few games had minor issues -- Medieval Madness had a flipper that was out of adjustment, which made the lock and catapult shots easy but everything else tough -- but otherwise these games are clean and in great shape. Toys that are chronically broken at most locations (Stewie Pinball on Family Guy, the motor on Corvette) were in good working condition. I did not play Demolition Man to see if the claw was functional, but based on the condition of the other games I’ll bet it is. Even the '40s E-M games had good strong flippers and bumper action. 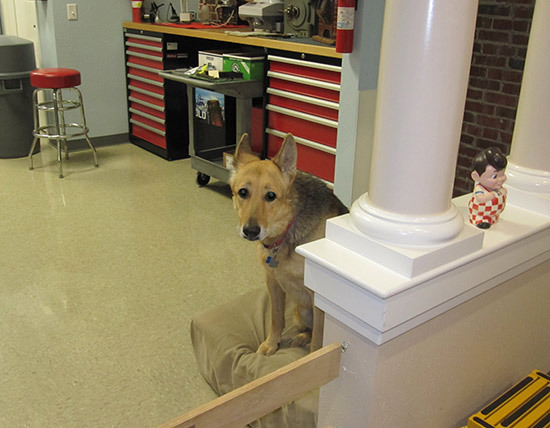 The back of the arcade was devoted to a clean and well-organized repair shop (I was extremely jealous), guarded by fierce attack dog and Rin Tin Tin look alike Wham-o. Dan does pinball repair, and in the back were a Tri-Zone, a Space Shuttle, and a third game being refurbed while I was there (I thought the third game was a Flash, but looking at the pictures now I don't know). I’m not sure if these were games for the arcade or for customers. Dan is very personable and I chatted with him a few times about the history of pinball and fast food. I think this is everyone’s dream repair shop... plus, stealth Big Boy! 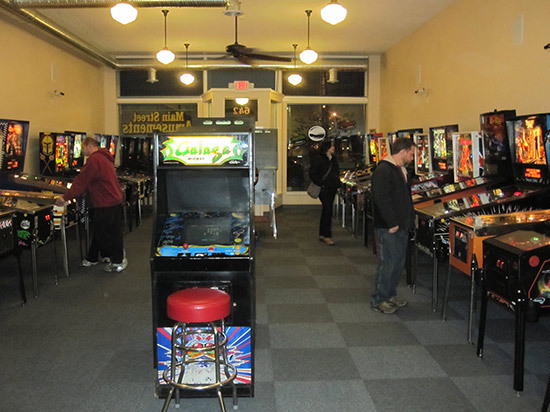 Main Street Amusements is a great place to play pinball and I highly recommend it... the world needs more locations like this. If you are trapped in Indiana and want to get your game on, this is the place to do it. 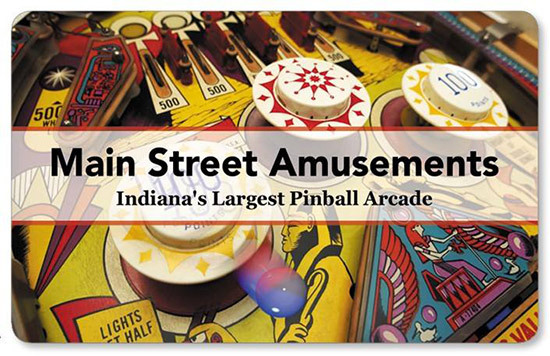 Main Street Amusements, located in the college-y town of Lafayette Indiana, boldly claims that they are "Indiana's Largest Pinball Arcade'. I can't confirm that claim but they certainly have a great line-up of pinball games. Chicago Gaming Company's Attack From Mars Re-make and Spooky Pinball's Total Nuclear Annihilation are on order but are not yet in-house. I had been told prior to the visit that Main Street Amusements had a few post-war Gottlieb wood- rail games to play for a nickel/credit, but I wasn't able to find them. As if this wasn't enough, add to this already impressive list a number of classic video and novelty games (such as Skycurser, Funland, Stargate, Burgertime, Bull's Eye Drop Ball, Ms. Pac-Man, Space Invaders, and the new 8 foot screen World's Largest Pac-Man) that I didn't have the time to write down (sorry!). Taking all of this into consideration, I feel that they are making a very legitimate claim to the largest arcade in Indiana, if not one of the largest in North America. All of the games at Main Street Amusements (MSA) accept only their custom brass-colored tokens, while the token dispenser takes credit cards as well as cash. Buying tokens in 'quantity' gets you bonus tokens. You can also pay for game credits from your phone - download the app, load the money from your bank account, and play. If you've spent all your money on playing games, you can at least request the 1950s-vintage Ask Swami machine to read your fortune for a penny. When Ask Swami isn't foretelling the future, it doubles as a napkin holder. It is worth noting that many of MSA's older games are one credit per play (25 cents or less) - an insane entertainment value! 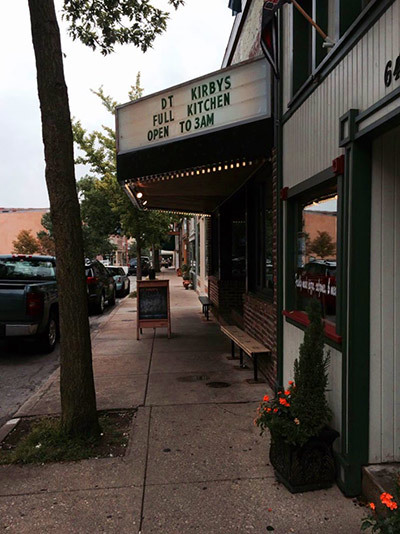 Next door to MSA is DT Kirby's bar and grill which is a converted movie theatre complete with marquee. 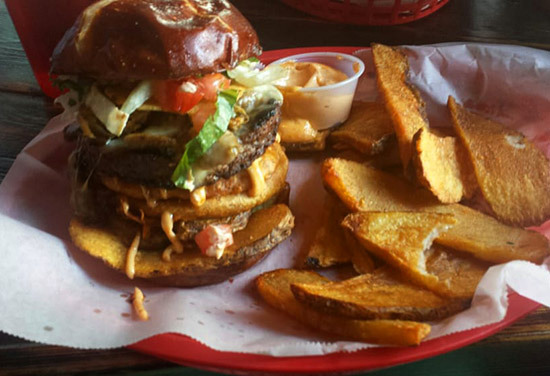 This somewhat upscale dive bar is popular with the University-esque folks and claims to serve the best burgers in the area. 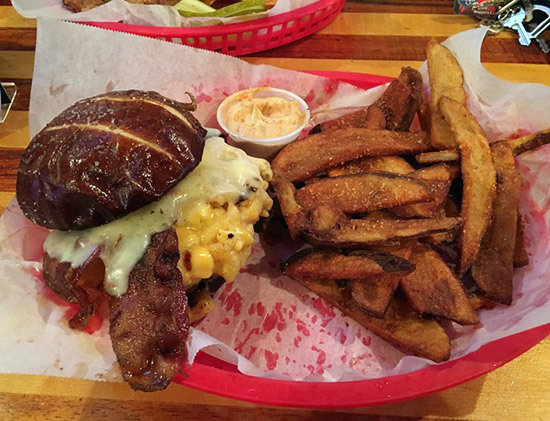 One of DT Kirby's best selling burgers is the Stacked Slaw Burger which is a Kaiser bun toasted with two 1/4-pound patties with bacon in middle topped with slaw and fresh onions. 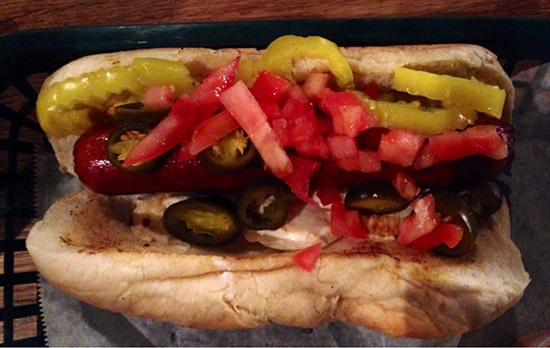 They have a mind-boggling half menu page of specialty hot dogs called "Indiana Dogs". DT Kirby's also has small-batch beverages from Sun King Brewery which is located in nearby Fishers, Indiana. Lack of time didn't allow me to visit DT Kirby's beyond a walk in-walk out. 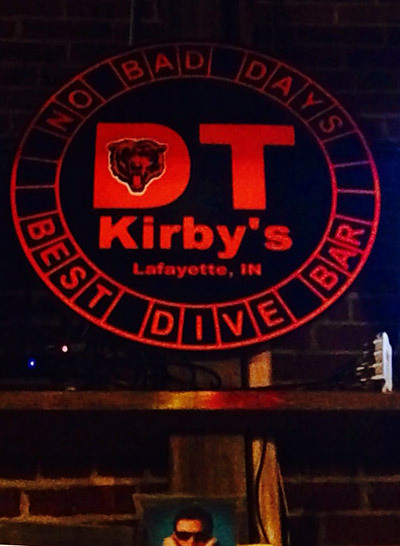 Next trip I will check DT Kirby's out in-depth and let you know what they are all about. Main Street Amusements' web site has a pinball-cam (web-cam) - you can see two views of what's going on there during the hours they are open. It doesn't say so explicitly, but it's implied on MSA's website that MSA is available for private parties by appointment. Check with them if you are interested. 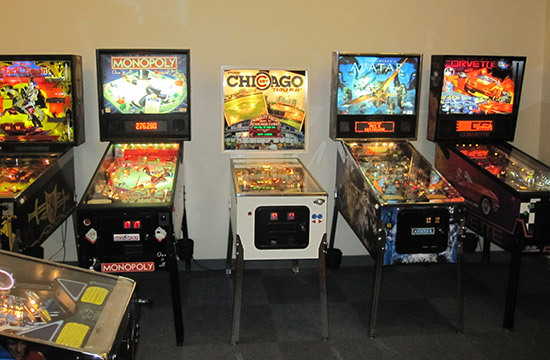 MSA hosts the Lafayette Pinball League as well as tournament pinball play on Tuesday nights. The 3rd Tuesday of every month is tournament night, most other Tuesdays are league nights. Play starts at 7:30pm. Contact them for more details. MSA will be hosting 'Main Street Mayhem II: More Mayhem' which is a two-day match-play format tournament held on September 16th & 17th, 2017. The entry fee is $75 per person and that includes a custom designed T-shirt and sticker available only to tournament players. Check the event page on Facebook for more information and to register. The tournament is limited to 48 players, with 16 spots on the waitlist, so don't delay. 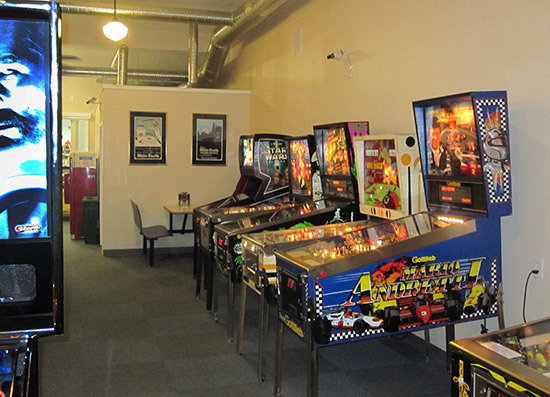 Main Street Amusements does repair and servicing of nearly all coin-operated games from their surgically clean and well-equipped on-site repair shop. MSA is well lit, clean, and attracts a primarily adult clientele. The prices on the games are very reasonable (you can play for hours on $20 worth of tokens), the majority of the games are working 100%, and are well maintained. I saw that MSA has a checklist where they go around daily and assure that each game is fully functional. Although Lafayette, Indiana is quite a road trip from where I live, it is one that I plan to make again soon when I have more time to relax and enjoy playing all of their games (probably more than once). 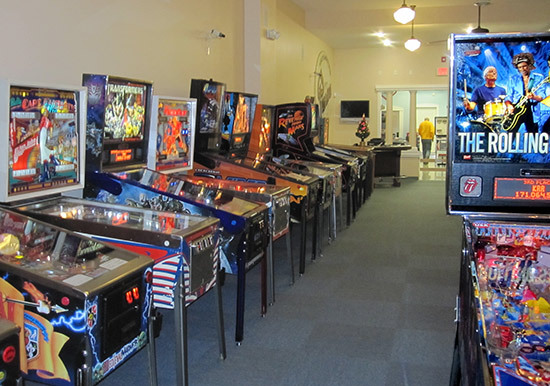 MSA is a fantastic place to put on your personal pinball site bucket list.